The members of Hub Hollow have been playing together, in different configurations, for almost 20 years. Their beautifully blended vocals and intricate melodies reflect a life of creating music together. 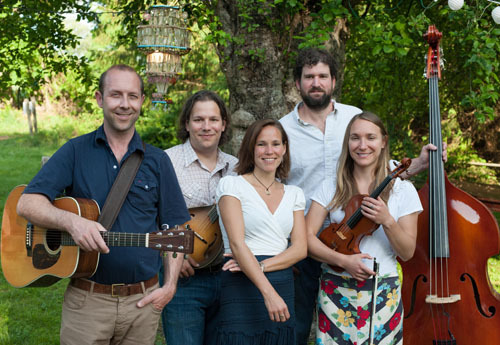 Hub Hollow was officially born about 8 years ago and since then they have built a loyal fan-base on the strength of their unique versions of traditional bluegrass tunes and warm and inviting original material. See a review of their latest album "New Seed" in Folk Talk Magazine. 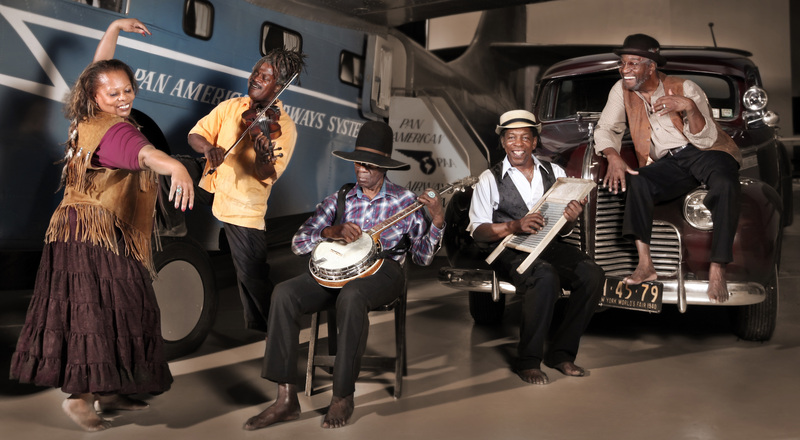 Whether they’re playing for thousands of people at Carnegie Hall or a handful of curious passersby on the subway platform at Grand Central Station, The Ebony Hillbillies bring history alive with the still vibrant sound of Americana. As one of the last black string bands in the U.S.—and the only one currently based in NYC—the Ebony Hillbillies keep an important legacy alive with a rootsy, homegrown style that many forget was a key element in the genesis of all the music we cherish as uniquely American—jazz, blues,bluegrass, rockabilly, rock and roll and country. Bringing a fresh urgency to the genre for a 21stCentury world in need of some deep musical education, the ensemble led by Henrique Prince (fiddle, vocals) and Norris Bennett (banjo, mountain dulcimer, guitar, vocals)-- featuring GloriaThomas Gassaway on vocals and bones, William “Salty Bill” Salter on acoustic bass with A.R. or Newman Taylor Baker on washboard and percussion--creates an untamed and joyful vibe that echoes across the generations and transcends all racial and cultural boundaries. Sarah Elizabeth Rayner is a singer-songwriter from the Cultural Corridor of Western Massachusetts’ Berkshires Mountains. Sarah has shared the stage with national acts No Triangle, Failures Union, Wind in Sails and Ryan Cabrera. She's been part of local radio station WBRK's Battle of the Bands in 2013 and 2014 and although she did not win it gained her valuable exposure and acclaim. She won The Three County Fair's Battle of the Bands in August 2014 and has performed at nationally recognized music venues: Gypsy Joynt (Great Barrington MA); The Guthrie Center (Great Barrington MA); Bogie's (Albany NY) as well as appearing at Third Thursday’s (Pittsfield), The Apple Squeeze (Lenox), The Parlor (North Adams) along with other venues and benefit events. Sarah completed her debut release in late 2014, the locally produced “My Hometown” EP with mixing and mastering provided by Paul Kostabi (CULTS, Guards, Dee Dee Ramone, Walter Schreifels’ Dead Heavens). 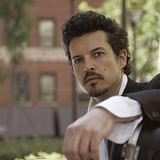 Matt Jacob is a singer-songwriter and multi-instrumentalist best known for being the lead singer and rhythm guitarist for the Brooklyn based band Big Mosey. The Deli Magazine ranked Big Mosey on their “Top NYC Artists” and said his singing “…perks ears with a bluesy alternative rock sound…and peculiar deep and gritty vocals.” Jacob has also led multiple other alternative blues rock bands based out of NYC including The Bourbon Shakes, Stiletto Wheels and most recently The Mystic Ryders. Two of his songs ‘Straight Flush’ and ‘Rainbows Wild’ were featured in the web series ‘Intersection.’ He has performed worldwide, often as a solo act. His ability to reflect personal experiences into his lyrics has garnered him recognition amongst folk composers. American Songwriter Magazine featured lyrics from his song “Kite” with its chorus: “All that you’re after, is a dream of disaster, for someone cracking up, you seem fixed enough, talking ‘bout how you feel so numb, then said wait I’m feeling some, come closer put your squeeze on me, reach past my grasp when you say please.” He is currently finishing work on a solo EP entitled 'Broken Pretenses' to be released in the autumn of 2014. Singer/songwriter Theo Eastwind was born in Vienna, Austria and if you’ve ever spent time in the New York City subway system, you may have already heard his music. The Oasis-approved artist (the band tapped him to perform as part of last year’s “Dig Out Your Soul in the Street” street promotion) has released his fifth album, King Of The Underground, on NYC indie label Soujorn Records. The new disc was recorded entirely on a subway platform. Theo was proclaimed "king of the underground" by American songwriter magazine in 2010. In 2004, Eastwind clinched Fox News’ “Subway Idol” competition. Last year, he was a winner in MSG TV’s “NYC Soundtracks.” Theo’s fourth record, “The O”, produced by Mark Ambrosino at Madhouse Studios, featured the instantly memorable “Set Up”, with which he won the “Williamsburg Singer Songwriter” contest. Theo's ten rules of busking are an invaluable resource for all musicians wanting to venture underground. The Beeline Ramblers ' Fran Mandeville has played Folk and Americana Roots music across the country. Originally from Worcester MA, he began his career as a rock musician whose band opened for Blood, Sweat and Tears over 40 years ago. He began his passion for acoustic music playing guitar and mandolin with a bluegrass band out west. Later, Fran shared opening billing for Asleep At The Wheel and Leroy Parnell. As a solo performer a personal highlight for him was sharing the stage with Dave Van Ronk. Fran has released two CDs: “I Have Walked With Angels” and “Precarious”. He received a nomination for best folk-blues song of 2001 from Just Plain Folk for his song “Let Me Be”. 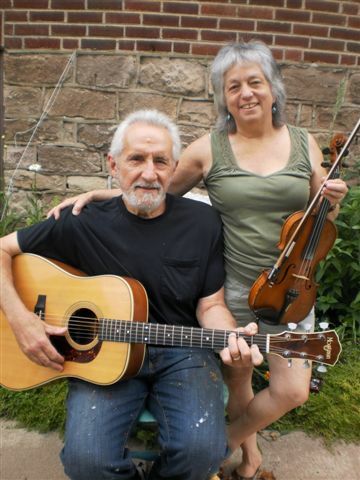 He currently performs Folk, Country, Blues and Bluegrass style Americana music with his wife Lisa as The Beeline Ramblers. They now reside in the Berkshire Mtns of Western MA. The “Ramblers” can be seen and heard at festivals, fairs, coffeehouses, colleges, libraries and State Parks. The Beeline Ramblers will soon release their 2nd CD. 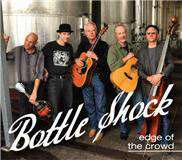 Bottle Shock started back in 2004 as a Monday night music club, founded by Bob Appleby, guitar, vocals and primary songwriter, Michael Haworth, guitar, pedal steel guitar, and vocals, and Alan Watt, mandolin, lap steel guitar, and vocals. It has grown to become one of the most original sounds coming out of northern California. While solidly under the umbrella of “Americana”, a combination of unique songwriting and the musical interplay between the three instrumentalists has created an accessible yet distinct musical style. Most of the songs are written by Bob, with occasional contributions from Alan and Michael. The rock solid backing from the rhythm section of Shawn Britton, drums and percussion, along with Jeff Martin, bass, propels the groove of the up-tempo songs, while giving just the right coloration to the darker ballads. Mark Herschler is from Northampton, MA. As a troubador in Europe he managed to hook up with interesting musicians such as wash tub basist Daniel William Fitzgerald, Japanese harmonicist Chicara Suzuki, singer Tina Provencano. Together they traveled throughout Europe as The "Lost Wandering Blues and Jazz Band" performing the music of Fats Waller, Billy Holiday, Bessie Smith, and Ray Charles. Specializing in the music of the 1920's they found themselves playing weddings in Saint Tropez and Zermatt, the lavish parties of Eddie Barclay, from Street corners to five star hotels, including Television appearences in Europe and America. 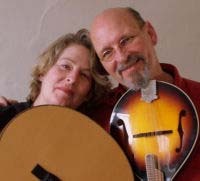 Singers of note who have performed with the "Lost Wandering" include Madeleine Peyroux and Joan Osborne. Mark also played guitar on Grammy-award winning artist John Cruz's albums Accoustic Soul and One of These Days. He is joined by Bass player Dan Goitein on Head in Edgartown. The song was produced by Lilshack Productions. Nathalie Matteau is from Montreal. Her music is mainly rooted in the twenties and thirties of the twentieth century, when the music of Kurt Weill and Bertold Brecht was in vogue. She adds contemporary influences, like those of jazz, cabaret, circus oom-pah and sometimes even classical music. Elements of singing mavericks like Tom Waits and Jacques Brel can also be heard. Some even say she has a touch of Edith Piaf. The atmosphere Nathalie Matteau creates is shaped by the band 'Les Hommes Perdus' (The Lost Men), which she has gathered around her. Nathalie frequently travels to the Netherlands where she enjoys great popularity. Vered Ronen was born in Israel and spent her childhood years going back and forth between Tel Aviv and Greenwich Village in New York. She spent much of her teens and early 20s painting, but after stumbling into a vocal jazz class in college she was hooked. She picked up the guitar and began writing songs and has been doing so ever since. She usually plays in venues such as Rockwood Music Hall and The Living Room in New York and has released two full length CDs. 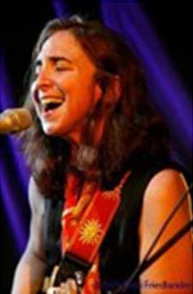 Her song "Bike" from her second album "Vered" appears on the soundtrack for the film "Satellite" and is performed by Vered and The Robbery. "Hear My Song" is from her first album "City Still". Vered's album of children's songs "Good Morning My Love" has received the Parents' Choice Gold Award as well as the NAPPA Gold Award. Jef Kooper was born in Staten Island, New York. Jef grew into the psychedelic seventies nurtured by early trips with The Dead, Moody Blues, Frank Zappa. A self-professed Dylan freak, Jef saw the play “American Song, the story of Woody Guthrie” and began to write. His evocative psychedelic folk style weaves comedy and content into original compositions. Jef’s first album, “Nightwatch” by Sentinel was recorded at the studio Steve Miller built in Southern Oregon, now “the studio at Pacifica Gardens”. Jef performs regularly with fiddle and dobro legends Willie Warwick and Al Brinkerhoff, as well as “State of Jefferson” trumpet great Mikey Stevens, a lifetime collaborator who has contributed many melodies to Jef’s body of work. Moonshine Rapture was inspired by a face-off with a possum. Jef has been organic farming in Southern Oregon for three decades, and lives with his wife of twenty-five years, Lori Hava. Tod Purcell was born in Connecticut and started playing in rock bands at the age of 13. In the 1970's he was a touring musician in Southern Europe with Spanish psychedelic guitar legend Gualberto Garcia Perez. Tod sang and played 12-string guitar with Gualberto on the 1975 album "A La Vida, Al Dolor." In the 1980's Tod was a founding member of the Old #7 Band, playing an eclectic mix of cowboy, country & western, Irish traditional, folk, and country/rock music at festivals and concert halls all over the East Coast. Going Cross The Mountain is a traditional folk song that came to be identified with Frank Proffitt. This Old #7 Band arrangement features Tod Purcell on lead vocal and playing acoustic guitar along with Bill Shute, with Tom Conger on bass and vocals and Lisa Null joining Tod on harmony. Paul Kostabi, born in Whittier, California, is an artist, musician, and producer. Going by the nickname "ENA", he is the son of Estonian war refugees who fled to the United States following the Soviet occupation of Estonia. He is the brother of artist Mark Kostabi. Kostabi was a founding member of the following bands: Youth Gone Mad (1981) White Zombie (1984) and Psychotica. In 2002, Kostabi joined friends Dee Dee Ramone and CJ Ramone on "Blitzkrieg Bop" at the Roseland Ballroom in New York City, along with Daniel Rey, Christian Martucci, Stefan Adika, and Marky Ramone. This was the last time these Ramones ever shared a stage. Paul has also performed and recorded with False Alarm, Damn Kids and is the lead guitarist in Dead Heavens on Velvet Elk Records. Kostabi in 2006 opened a recording studio, Thunderdome studios in Piermont, New York. Where he records and produces such bands as The Willowz, Los Gattos, Barracks, Urban Waste, Cults, Psychotica, Love Pirates,GLINT and Paleface. Julie Ann (Layne) McClain was born in Palo Alto, California in 1959, just in time for CSN&Y, Jimi, Joni, and Janis to be the soundtrack for her primary school years. At the age of 4, she was playing piano by ear, at 6 she wrote her first song on the way to kindergarten. 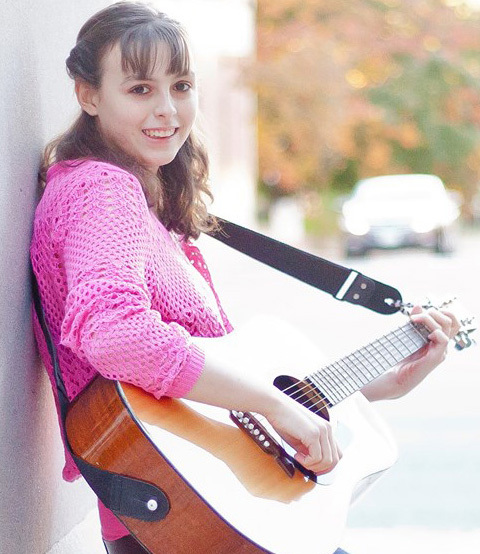 She learned guitar at 14, joined a garage band at 15 and began studio work as a vocalist at 18. Julie has since released 3 full play cds of original music including the self-produced Daughter of the Dark Blue Gates, Pendulum, produced by Johannes Luley and Creekside, produced by longtime collaborator Robert Powell. Julie has appeared in coffee houses, San Francisco rock clubs, International Forgiveness Day and various benefits over the past 25 years. She is currently working on her fourth album, slated for release in 2011. Pamela Means was born in Milwaukee, WI, where she studied classical guitar and jazz at the WI Conservatory, then ultimately relocated to the east coast. From the recording of her first tape in the living room of Violent Femmes' bassist, Brian Ritchie, Means has since released seven critically acclaimed albums, including a fantastic foray into jazz, strummed a hole in TWO acoustic guitars, and lived in Boston, New York City and the Berkshire mountains of Western Massachusetts. Averaging 150+ shows a year, accumulating awards and accolades along the way, including Milwaukee's Best Acoustic Act (twice! 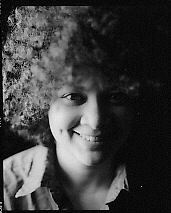 ), WI Folk Artist of the Year, WI Female Vocalist of the Year, Top Ten Album of the Year (Pamela Means Jazz Project, Vol. 1), Most Wanted New Artist (Falcon Ridge Folk Festival), and a Boston Music Award nomination, Means is ever the consummate songwriter and performer.Pamela has shared the stage with artists including Ani DiFranco, Joan Baez, Neil Young, Shawn Colvin, Richie Havens, Patty Larkin, Melissa Ferrick, Violent Femmes, Pete Seeger, Janis Ian and Holly Near. Alain Rozan was born in France and immigrated to the United States in 1981. Alain started writing songs and playing guitar at the age of 13 after hearing the Bob Dylan record “The Times They are a Changin”. He writes and sings in French and English and could be categorized as a French folk and American folk/rock singer songwriter. He has played in many New York venues such as Life Café, Bar B, Lakeside Lounge and at many Bastille Day celebrations including a legendary one in 1995 where he sang 3 songs 23 times in 23 different restaurants/clubs in one day and without amplification, accompanied only by his dear friend, Walter Kuehr, the New York master of the accordion. He lives in New York City. Histoire d'Amour was written and sung by Alain and features Erik Della Penna (guitarist to Joan Baez and Nathalie Merchant) on guitar. 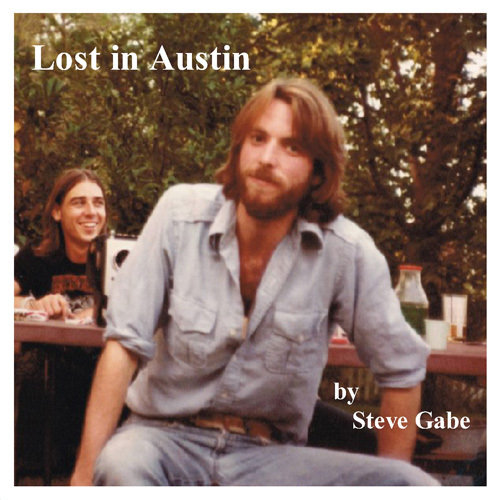 Steve Gabe, founder of Newfolkcity.com (formerly 109 Records) and editor of Folk Talk Magazine.